Sandhini S, Rajeev R R and Binu R, "A Proposal for Chatbot for Malayalam", in proceedings of International Conference on Next Gen Information Systems and Technologies (NGIST). Varsha E, "Translating Natural Language Sentences into Database Query", in proceedings of International Conference on Emerging Trends and Innovations in Engineering and Technological Research (ICETIETR 2018). Fathima Shabana and Naseer C, "Clustered Semantic Graph Approach for Multi-Document Abstractive Summarization", [Accepted for Publication] in proceedings of International Conference on Computer Science, Industrial Electronics (ICCSIE 2018). Ayishathahira C H, Raseek C and Sreejith C, "Combination of Neural Networks and Conditional Random Field for Efficient Resume Parsing", in proceedings of International Conference on Control, Communication and Computing (IC4 2018). Nayana R M, Rajeev R R and Naseer C, "Dependency Parser for Malayalam: A Machine Learning Approach",in proceedings of International Conference on Control, Communication and Computing (IC4 2018). Sruthy K Bhaskaran, Sreejith C and Rafeeque P C, " Neural Networks and Conditional Random Fields Based Approach for Effective Query Processing", published in proceedings of 8th International Conference on Advances in Computing & Communications (ICACC 2018). 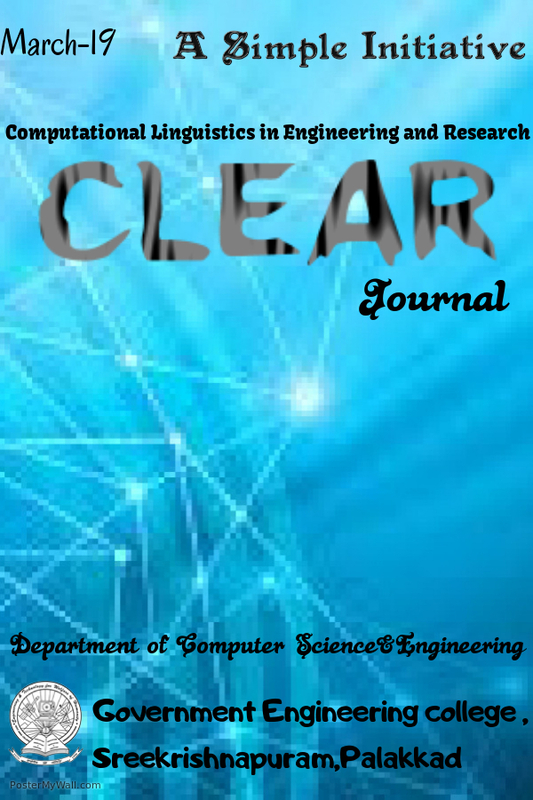 Manjusha P D and Raseek C, "Convolutional Neural Network Based Simile Classification System", in proceedings of International Conference on Emerging Trends and Innovations in Engineering and Technological Research (ICETIETR 2018).